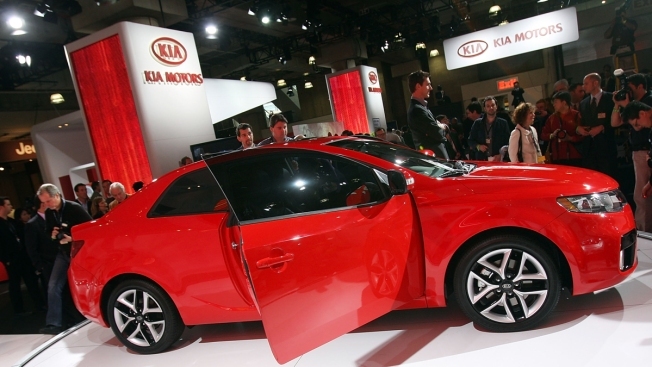 This April 9, 2009, file photo shows a Kia 2010 Forte coupe at the press preview for the New York Auto Show. That model of car is part of a June 2018 recall involving air bags failing to inflate. Kia is recalling over a half-million vehicles in the U.S. because the air bags may not work in a crash.